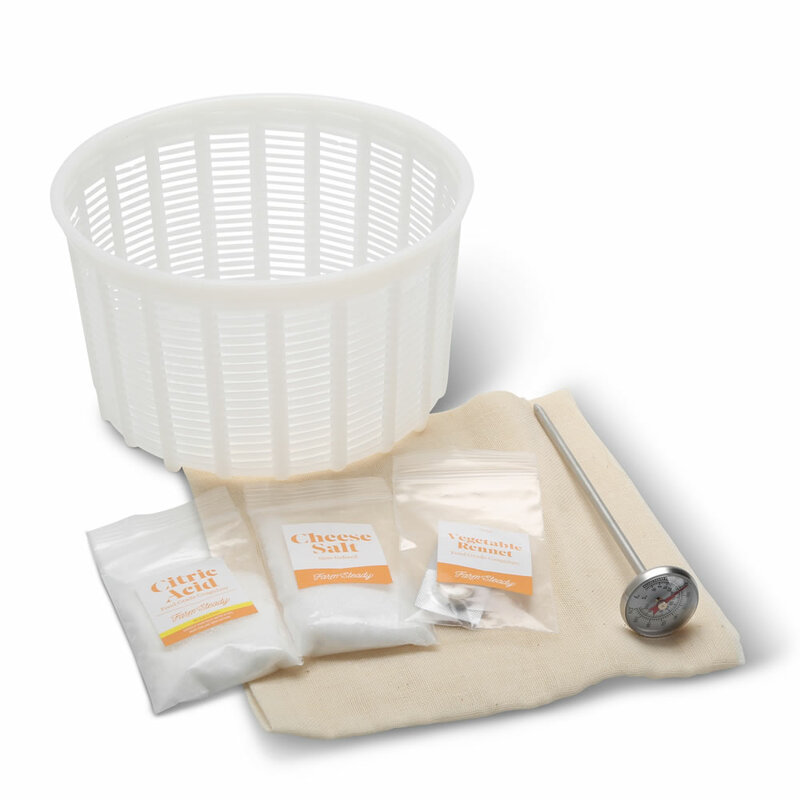 This is the kit that lets aspiring formaggiaios make four different varieties of fresh, artisanal Italian cheese in their own kitchen. 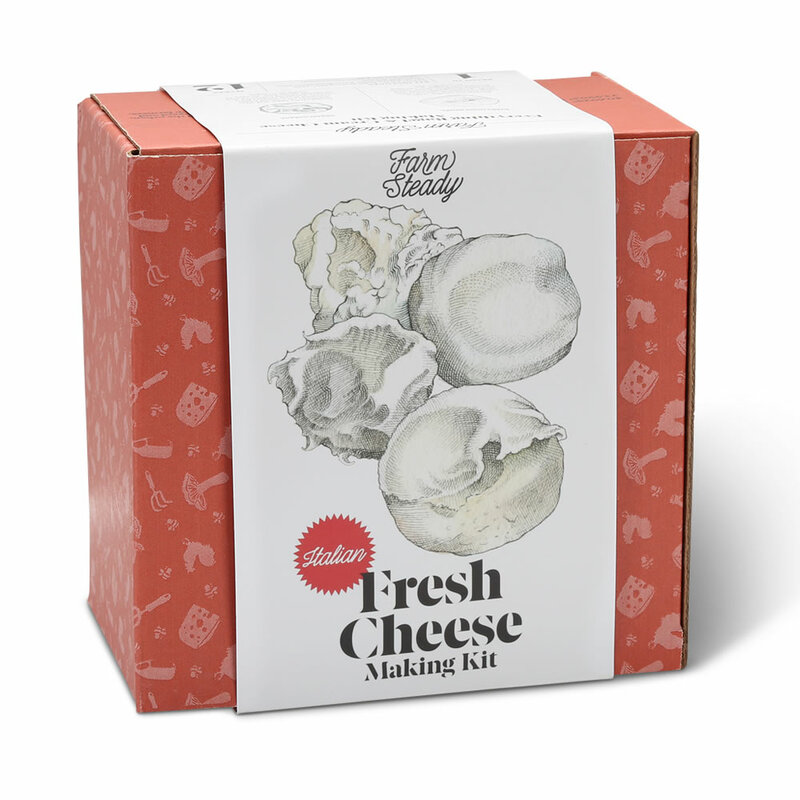 The kit contains the equipment, ingredients, and easy-to-follow instructions to make soft gourmet Italian cheese from scratch in an afternoon—you supply only the milk. The classic mozzarella with its luxurious texture can be eaten fresh or melted on a homemade pizza. The rich and creamy mascarpone makes an indulgent centerpiece to tiramisu and other desserts. The delicate and airy ricotta works as a filling for lasagna or as a spread on toast. 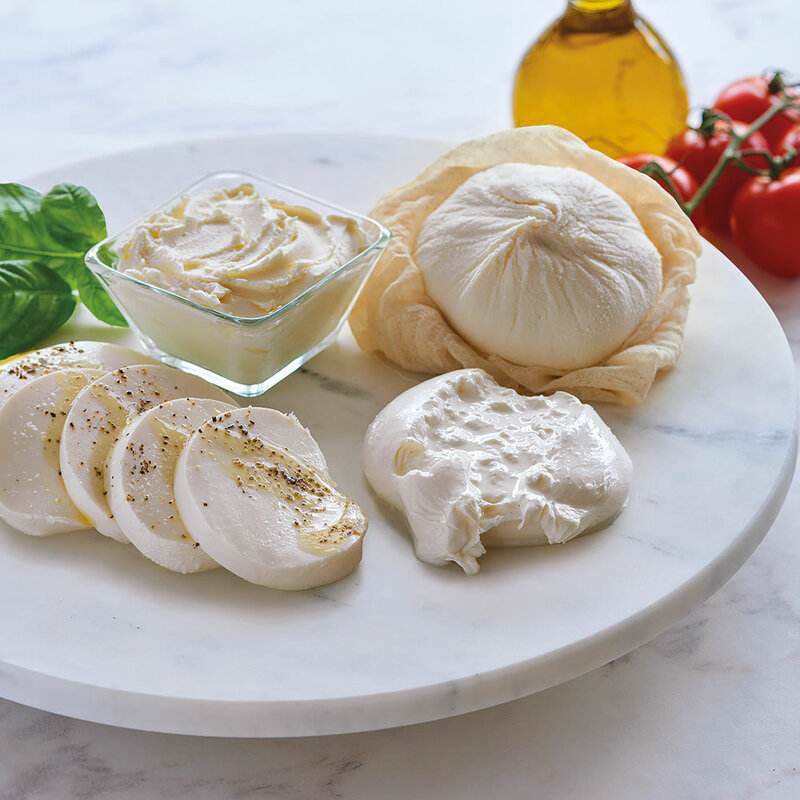 Burrata offers everything there is to love about mozzarella with a decadent cream filling that pairs best with a ripe tomato or crostini. A unique gift for any aficionado of fresh, flavorful formaggio, the kit yields eight generous batches in any combination of the four styles.